Kyrie would rather score 30 points per game for a good team than 25 points per game for a great one. 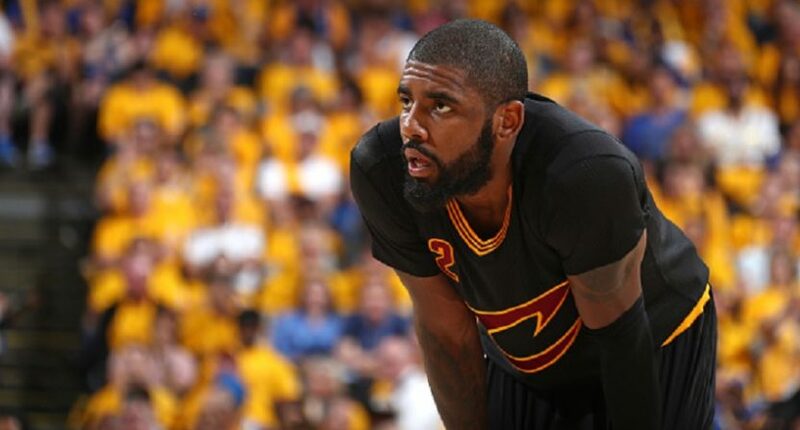 You have probably heard that Kyrie Irving wants to be traded from the Cleveland Cavaliers, and you have probably wondered why he’d want to leave the championship-caliber team with which he’s spent his whole career. Well according to a report from ESPN’s Ramona Shelburne, Dave McMenamin and Brian Windhorst, it largely comes down to a little jealousy. Irving was tired of being Robin to James’ Batman. Tired of having another superstar — even one of the best players of all time — in control of his fate. Yes, he had learned from James in the three seasons they’d played together. Yes, he was appreciative. But Irving felt the time had come to take his destiny into his own hands. He wanted to be the centerpiece of a team, as he thought he was going to be three years ago when he signed a five-year extension 11 days before James decided to come home. It’s understandable that Irving would want to be the top guy on a team, but hopefully he realizes that if he’s going to be “in control of his fate,” that fate likely won’t be that great. Kyrie is an outstanding player, but it’s hard to imagine him as the best player on a championship team unless that team also has two or three other elite guys. Per ESPN, Irving is unhappy that the Cavs put the ball in LeBron’s hands more than in his. The team’s reliance on LeBron, of course, made some sense given that LeBron is one of the best players in NBA history. Irving also reportedly resents that other point guards like Damian Lillard and John Wall get to run their own teams, while he doesn’t. Much of Irving’s disenchantment with James was rooted in game play, sources said. James, as a once-in-a-lifetime talent, controlled the ball more than any other forward perhaps in league history. Which means the ball was out of Irving’s hands more than he preferred. That said, Irving led the Cavs in shots in the 2016-17 season, averaging 1.5 more per game than James, and Irving averaged a career-high 25.9 points. It was the first time in James’ career he didn’t lead his team in shots per game. But there were ancillary issues that bothered Irving, too, such as how James’ good friend Randy Mims had a position on the Cavs’ staff and traveled on the team plane while none of Irving’s close friends were afforded the same opportunity. Irving chafed about how peers such as Damian Lillard and John Wall were the center of their franchises and catered to accordingly. There’s irony there, as Wall was envious of Irving’s Nike shoe deal and Lillard has never advanced beyond the second round of the playoffs. Irving has been to three Finals and has a championship. Look, Kyrie can make the decisions he wants, and we have little right to judge him. But you have to think that 90 percent of NBA observers would rather be in Kyrie’s position than Wall’s or Lillard’s. Irving is a sidekick, sure, but he plays for a championship team that every fan (and sponsor) keeps an eye on, giving him regular opportunities for heroics like his game-winner in Game 7 of the 2016 NBA Finals. Wall and Lillard are top scorers on teams that consider a trip to the second round of the playoffs a successful season. They’re not part of the daily NBA dialogue, and they lack the profile that comes with a championship-caliber team. Some of Irving’s desire to leave Cleveland, as the ESPN article notes, comes down to the Cavaliers’ front office dysfunction, but clearly there’s a little more to it. Kyrie wants to average 30 points per game for a good team instead of 25 points per game for a great one. We’ll see if he gets his wish—and if he regrets it.